Do You Want Walmart Associates Knocking On Your Door? Do You Want Walmart Associates Knocking On Your Door? Walmart seeks to answer this question with a new pilot. 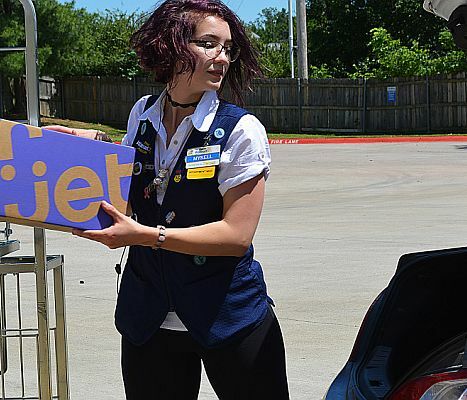 The mega retailer is now using store employees to deliver packages to customers' homes, starting with three test stores – two in New Jersey and one in northwest Arkansas. "Not only can this cut shipping costs and get packages to their final destinations faster and more efficiently, it creates a special win-win-win for customers, associates and the business," Marc Lore, President and CEO, Walmart U.S. eCommerce, writes in a blog post. Here's how it works: trucks moving orders from fulfillment centers to stores for pickup will be used to bring ship-to-home orders to a store close to their final destination, where associates can sign up to deliver them to the customer’s house. The plan gives associates a way to earn extra income on their existing drive home. Employees that opt in can set preferences in the tech Walmart has developed for this. They can choose how many packages they can deliver, the size and weight limits of those packages and which days they’re able to make deliveries after work. Once they’re done working at the store for the day, they pick up the packages from the backroom, load them into their vehicle, enter the delivery addresses into the GPS on their phone and head toward home. "Many orders are being delivered the next day, and associates love having the option to earn more cash while doing something that’s already part of their daily routine," writes Lore. "An unexpected benefit is they’re finding quicker routes home thanks to the GPS built into our proprietary app." As retailers scramble to compete with Amazon, is this type of last-mile innovation the answer? Maybe. So far Lore says "the response from associates and customers has been great."